Check out "The Band" by Headway. You can remove put it on and remove it easily as it wraps around the body. The sound is very natural as it picks up the whole body of the instrument. 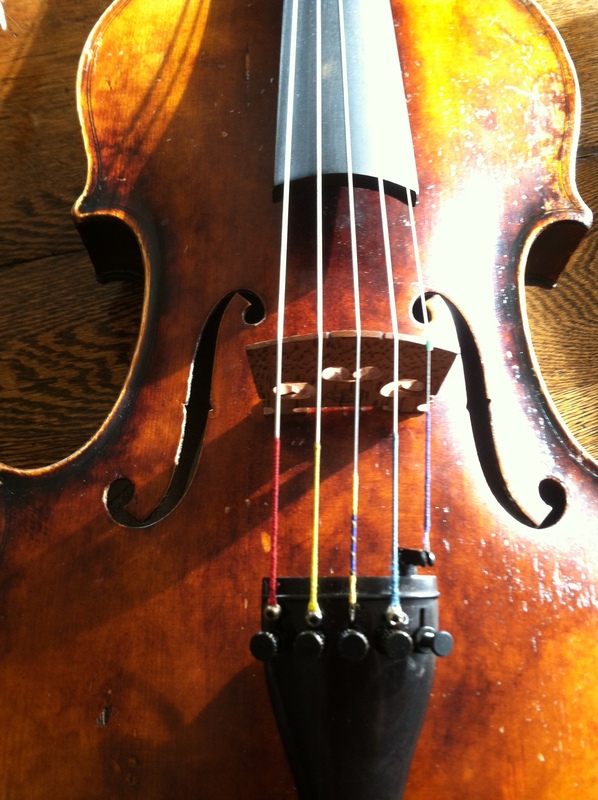 Violinist in my old group used one and loved it, as well as many of the session violinist I've played with. Shadow also do some good ones. 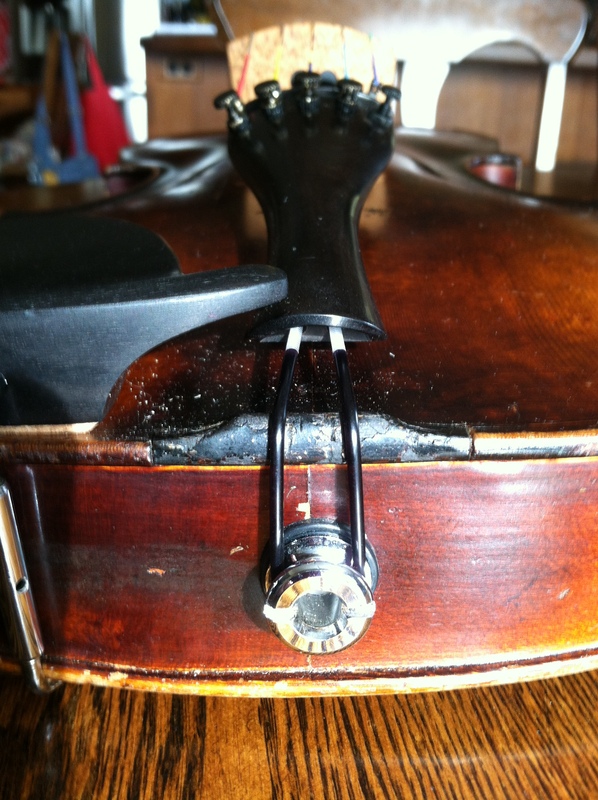 I have one on my cello that inserts two contact pads under the bridge feet. Great sound but not really removable unless you slacken the strings and reposition each time you take it off/on. DPA 4099 is great, it's what I use with sax and guitar, think the headway is more in our violinists budget. If your guy wants to buy a headway, send him to me. I have one I've used about 2 times I'm looking to sell. It sounds good. I just don't need it ! Do you have a price in miNd. We are rehearsing tomorrow night and I still haven't been able to get him on this site except to lurk a bit. Very very shy with people very very musical. They retail fort almost 200. Total cost for the above about $30 (installed myself).